We were camped quite a ways from my start so we got a late start today. The roads on today’s route were a mixture of good to poor with, but most were smooth with rolling hills. I thought Louisiana was supposed to be flat, but I ascended over 1900’, and descended over 1700 feet today. I was taking a break alongside the road when a van stopped to see if I needed any assistance. I said I was just taking a break. She said she saw me earlier and told her riders. She is driving a the SAG vehicle for her husband and daughter who are also riding my direction on the Southern Tier Route. We chatted long enough for her riders to catch up. They took some pictures and we set off riding together. They passed me immediately but I was able to keep them in sight for several miles. They took a break and I passed them by. I passed their SAG again and shortly afterward I broke a spoke. I stopped to replace it and true my wheel. I thought they would catch me again but they must have been done for the day. I am looking forward to seeing them again when the pass me later in the trip. 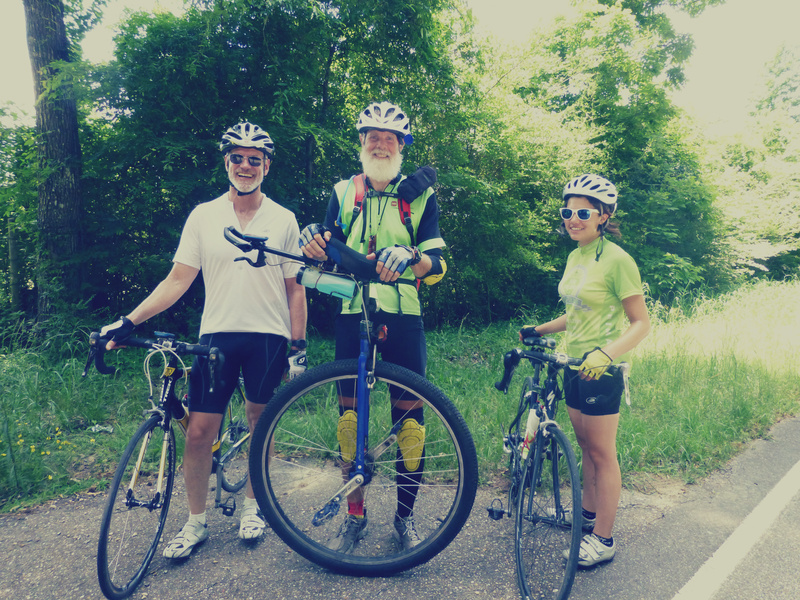 My crew spent the day in Saint Francisville. Joan sent me a text at 1:00 saying she was leaving there which was about 40 miles behind me. By the time she caught up to me I had logged another 14 miles. For my next cross-country cycling adventure I may consider this contraption only in a slightly larger size. 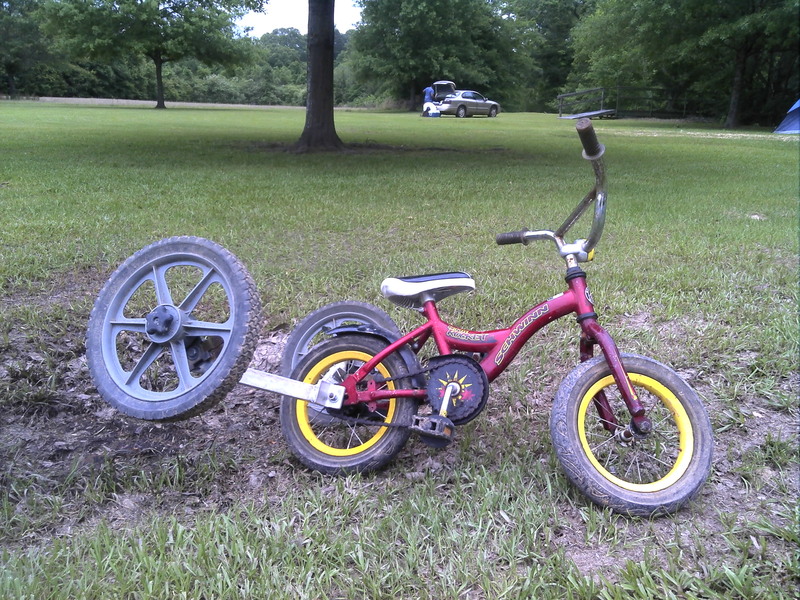 It looks a bit more stable than my unicycle.